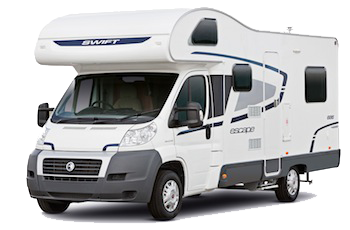 Shropshire Motorhome Hire is situated just outside the market town of Shrewsbury, in the West Midlands, only a short distance from the Welsh Border. For details of how to find us, please see our location page. 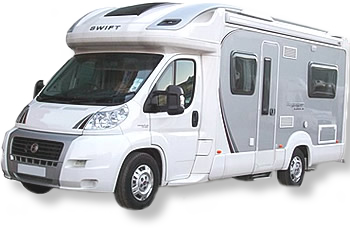 We operate a fleet of modern 2-berth, 4-berth and 6 berth Motor Homes and have used motorhomes for sale. For more information please watch our company video. "We were warm and cosy in our motorhome"
"Thank you Mark & Lisa for your friendly and efficient service on our first motorhome holiday. We will be back!" 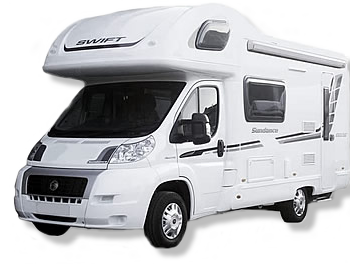 "Clean, well-equipped and reliable motorhome"
Free secure parking for your car is available for the duration of your hire. Alternatively, travel to us by train and we'd be happy to collect you from Shrewsbury station. 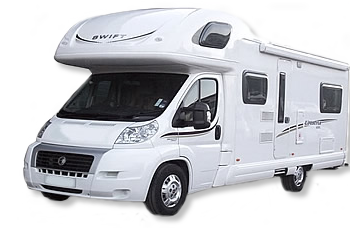 Why not drive up the day you begin your hire and spend your first hired night with us in your motorhome, on our working farm, and explore the delights of our historical village of Alberbury. Explore our castle, stock up at our local shops and enjoy dining at one of our renowned local restaurants - departing the next day refreshed and completely at ease with your motorhome? Spending your first night with us allows you to stock up at our many local shops/inns. With Wales on our doorstep you can make an early start to your holiday!